Sgt. Lee Roy Masoner graduated from Frederick High School. 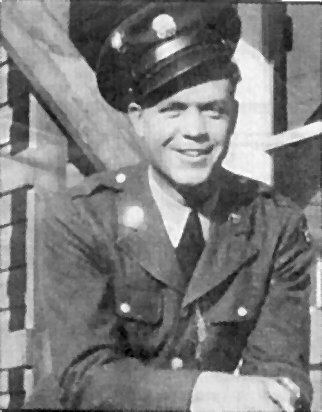 He entered the service August 25, 1942, trained at Fort George Wright, Spokane, Washington; Auto.Tech. School at Halibard Baltimore, Maryland. He was stationed at Clovis Air Base, NM; Roswell Air Base, NM, and Wendover Field, Utah. Masoner served with the 509th Composite Group - First Atomic Bombardment on the island of Tinian in the Marianas. He was awarded the Asiatic Pacific Theatre Ribbon with 2 Battle Stars, American Theatre Ribbon, Victory Ribbon with 1 Battle Star, Good Conduct Medal, and the Air Force Outstanding Unit Citation Ribbon with Device for Valor. Frederickan serves with "Enola Gay" crew is a news article from our local newspaper. To view, you will need Acrobat Reader which you can download free from Adobe.com.